Just like Jay Pinkerton earlier in 2018, writer Erik Wolpaw has returned to valve after a year away from the company. 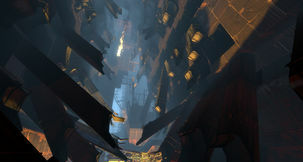 The new Portal is a spin-off from the Bridge Constructor series of puzzle games, but it does feature GLaDOS. 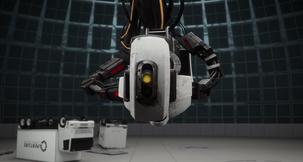 While not exactly 'Gaming' news, Portal and its sequel are more or less cult classics. The surprise new IP seen Valve's Orange Box release stunned critics with its blend of mind-numbing puzzles and sentient AI humor causing a sequel to eventually roll around and stun us again. So in a time where more and more video games are seeing screen adaptions, it's still a shock to hear that Portal is likely the next one to the thrown into the writer's room. Though talks of both Portal and Half-Life movies appeared a few years back, IGN cornered J.J. Abrams at the premier of Westworld where he confirmed a meeting with Valve was set to go ahead next week. Valve and Psyonix have announced that car football hybrid Rocket League will be getting some Portal-themed downloadable content in December for free.